Monarch has a long history of producing quality furniture that captures the latest design trends. Their familiarity with manufacturing and strategic facility locations allow them to offer a huge catalog of incredible designs at truly affordable pricing. Monarch is one of the best furniture brands on the market today if you’re looking for affordability without sacrificing style. Their long history of familiarity with furniture design and manufacturing allow them to offer styles and finishes rarely seen at such price points. Their presence in the catalogs of online retailers like Amazon have helped them meet their customers where they already are. Monarch is a well-established furniture brand headquartered in Montreal, Canada. They were established in 1965 and have a massive, state-of-the-art, showroom encompassing nearly 275,000 square feet. Monarch’s success has been driven by their focus on the latest fashion and design trends. Their ability to identify and adapt to shifting trends has helped serve them well. Monarch retailers are mostly located in Canada and the Northeast United States, though some are scattered among the lower states. Their products have seen a remarkable amount of success through online retailers such as Amazon. Monarch is one of the few furniture brands capable of offering such unique and high quality style at such affordable pricing. One great example of their product catalog is their Modular Reclaimed Oak L Desk Home Office system. This modern design features a light sandblasted oak finish accented by smooth satin nickel hardware. Monarch offers some really incredible modern designs that are priced in a range seldom associated with such aesthetic flare. 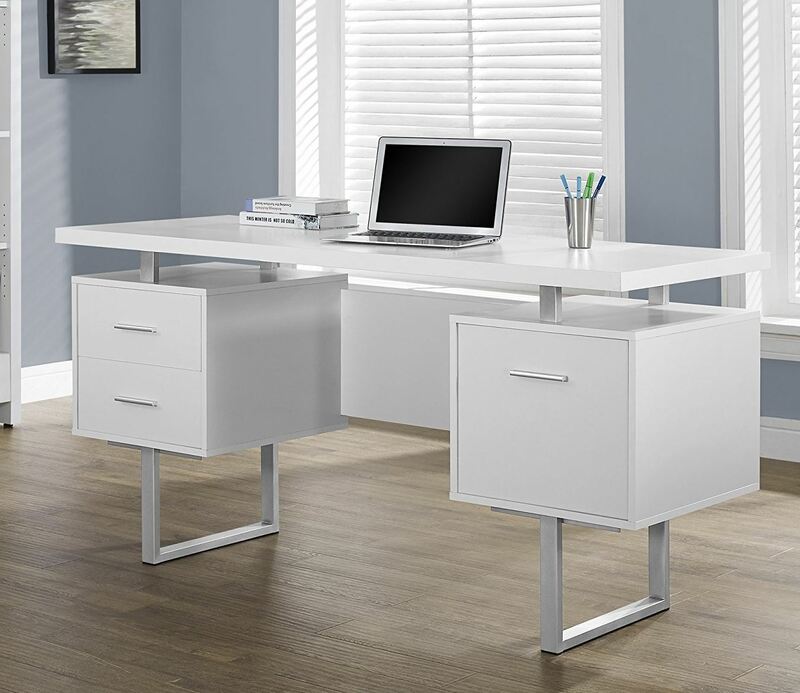 If you’re looking for some quality furniture that’s more stylish than simple brown boxes—Monarch is the way to go! Monarch is a Canadian furniture brand with a tremendous catalog of affordable modern designs. Their understanding of the manufacturing process and consumer trends has positioned them among the best furniture brands on the market today.